I’m assuming the addition to the title which was originally just Late Phases was to ensure that audiences are aware of the werewolf aspect in the storyline. You know, just in case the image of a snarling wolf on the cover art was not clear enough. Fortunately, it took no time for me to forget about the awkwardness of the title with director Adrian Garcia Bogliano’s ability to effectively build suspense. 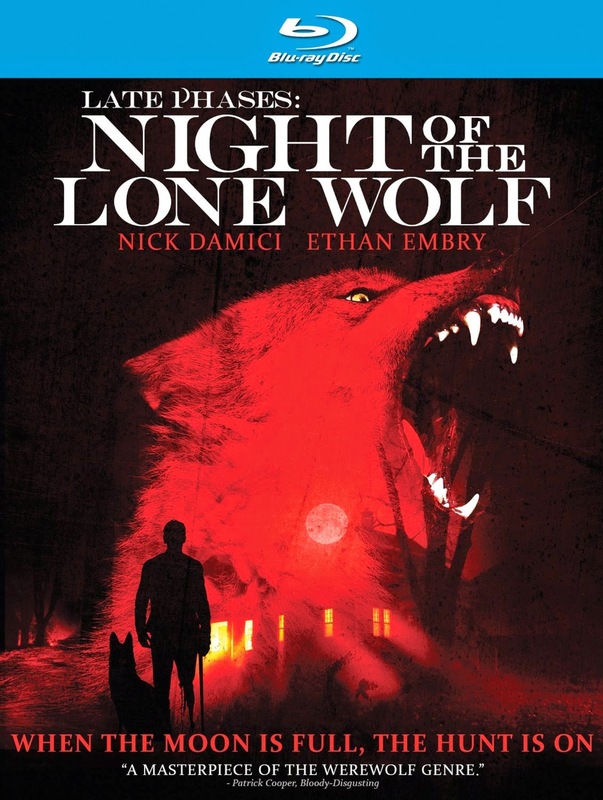 Where some of his previous horror films simply lacked characters to match the plot, Late Phases balances the simple story perfectly with a likeable protagonist in Ambrose McKinley (Nick Damici). Ambrose is a blind war veteran who wages a personal war against the werewolf that killed his dog, thankfully skipping the part where he tries to get others to believe him. Instead, Ambrose formulates his own plan to get revenge on the creature which attacked him and his beloved pet on their first night in the wilderness-surrounded retirement community of Crescent Bay. Where he is handicapped by the missing sense, his others are heightened. How ironic that the sense of smell would be one of the greatest weapons for the man trying to take down a wolf. And although Ambrose lives alone, aside from the occasional visits from his distantly concerned son (Ethan Embry), he doesn’t let that stop him from finding all that is needed to kill the monster. He even begins a discreet investigation among the locals in order to determine who might be the werewolf, all while awaiting the next full moon. The Blu-ray special features include a commentary track with director Adrian Garcia Bogliano, a making of featurette, a visual effects featurette, and a trailer for the movie.